A new study from the Environmental Health Trust has found that children absorb twice as much microwave radiation from phones as do adults. Children are currently absorbing twice the cellphone radiation to their heads as adults, says the team, and up to triple in their brain’s hippocampus and hypothalamus. They also show greater absorption in their eyes, and as much as 10 times more in their bone marrow than adults. Even for adults, it says, cell phones carried in the shirt or pants pocket exceed FCC exposure guidelines. The reason, says the team, is that the industry-designed process for evaluating microwave radiation is flawed. The tests are based on the example of a single type of individual, a large man. Far better, says the team, would be to use anatomically based models of people of various ages, including pregnant women. The amount of radiation absorbed should be determined in all tissue types, they say. Then, cellphones could be certified with children in mind, using the ‘As Low As Reasonably Achievable’ (ALARA) approach used to set standards for radiological devices. The potential dangers of cellphones – in particular, cancer – are increasingly causing concern, especially when it comes to children. One big problem in establishing the danger is that cellphones simply haven’t been around that long, or not in the hands of children, at any rate. 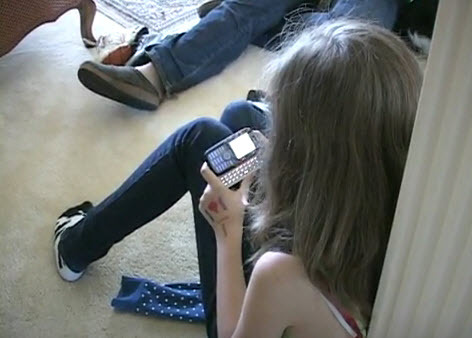 It could be years yet before the long-term effects of early cellphone use – if any – become clear. PORTLAND — Cellphone users may be in more danger from low-level radiation than they’re being told, researchers and public health advocates said Monday during a presentation at the University of Southern Maine. “Our greatest concern is that we’re setting ourselves up … to have an epidemic of cancer in the future that should be prevented right now,” said Dr. David Carpenter, director of the Institute for Health and the Environment at the University of Albany. “In my judgment, the weight of evidence is so strong now” that there should be stronger warnings about the risks. Carpenter, who spoke through a teleconference connection, was one of several advocates for more aggressive precautions who spoke to a group of nursing students as part of a public health seminar. USM’s School of Nursing and the Environmental Health Trust arranged the seminar and invited the public. There is no proof that cellphones cause cancer, according to government scientists and agencies. “The weight of scientific evidence has not linked cellphones with any health problems,” according to a Maine Center for Disease Control statement provided by a spokesman Monday. Maine was one of the first states to consider requiring warning labels on cellphones, although the bill was voted down. Speakers at Monday’s forum urged cellphone users to take simple precautions, such as keeping phones and other wireless devices away from their heads, out of their pockets and off their laps. Headsets that attach to cellphones don’t emit the same levels of radiation, they said. “Distance is your friend,” said Lloyd Morgan, senior research fellow for the Environmental Health Trust. 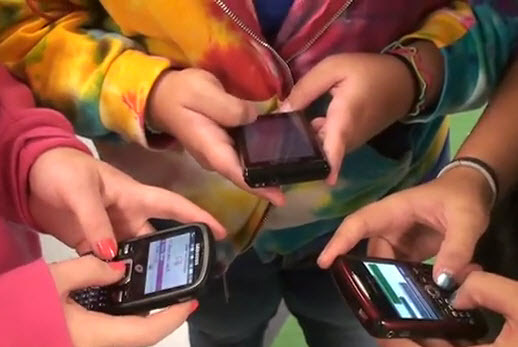 Researchers for the trust, a nonprofit that investigates and warns about health risks, published an article Monday in the journal Electromagnetic Biology and Medicine that says the federal government is underestimating the danger of cellphone radiation, especially to children. The authors argue that the government uses the model of a man’s head to test radiation levels, even though children’s smaller heads and thinner skulls make them more vulnerable to the radiation. Another speaker at the forum, Stuart Cobb of Portland, said he is convinced it was his cellphone use that caused him to have a brain tumor, which was removed two years ago. Cobb and his wife, Kristen, might never have made the connection, they said. But when he was diagnosed, his doctor asked if he used a cellphone, which led the couple do some research. Now, Cobb said, he also is convinced that doctors and government agencies should be warning phone users of the health risk before there are a lot more cancer patients to prove it. “I think this is the tobacco of the 21st century,” he said.